When you rent or purchase a slip at the AYC for the in-water season you also are entitled to on-land winter boat storage space for your vessel at no extra charge. We offer winter boat storage on premises here in Lindenhurst, NY for both members and non-members. Come and enjoy our large in ground pool and tennis courts while the kids entertain themselves in the playground, or proudly host your own parties dockside or poolside. Park your car ten feet from your Boat, and enjoy your own barbecue and picnic table right behind your Boat. They’re sure to go fast so get underway for the best selection! Please call Billy Jennings at (631) 226-2760 to make an appointment. After business hours, call (631) 384-4662. 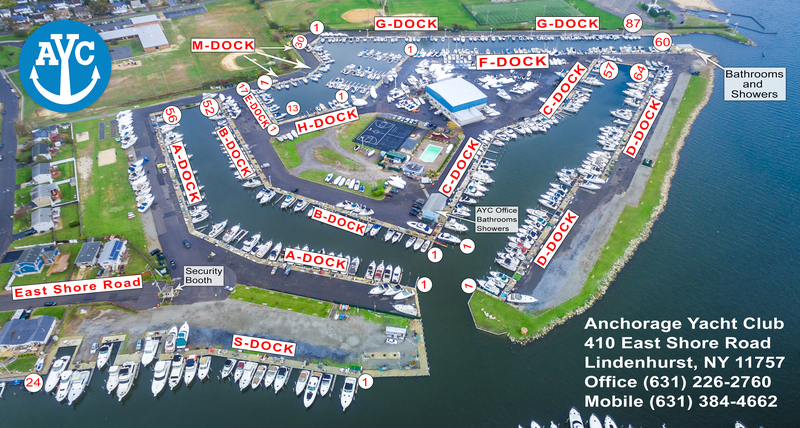 Anchorage Yacht Club provides premiere access to Long Island's Great South Bay! N40 40'16" W73 21' 18"
© 2016 - Anchorage Yacht Club - Website by Sky View Pros Inc.